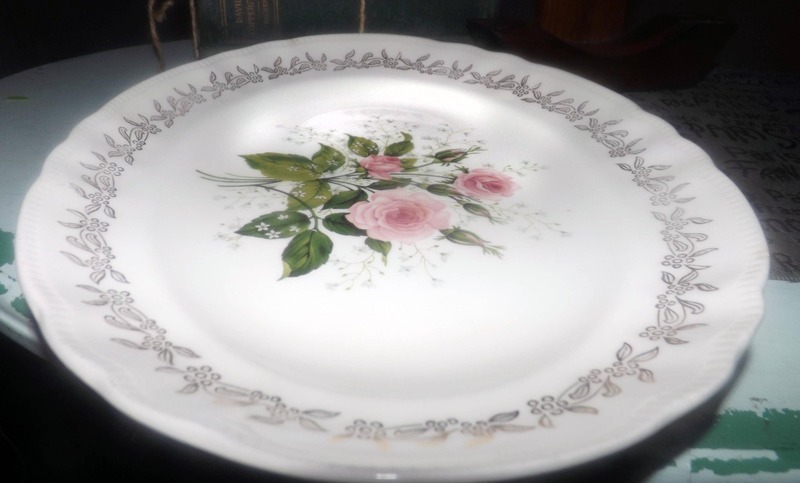 Mid-century (1950s) Sovereign Potters Jubilee Rose 1212-54 oval vegetable | meat platter. 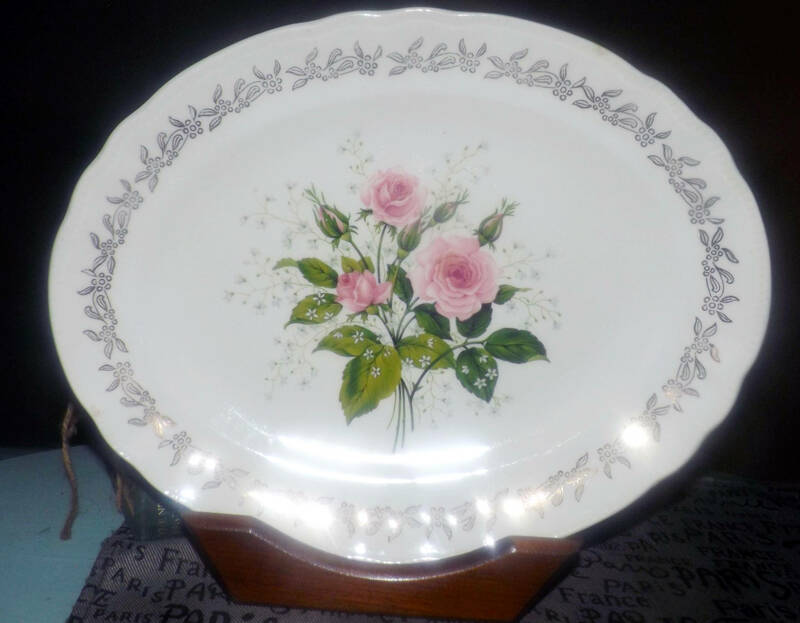 Central pink roses, gold floral filigree. 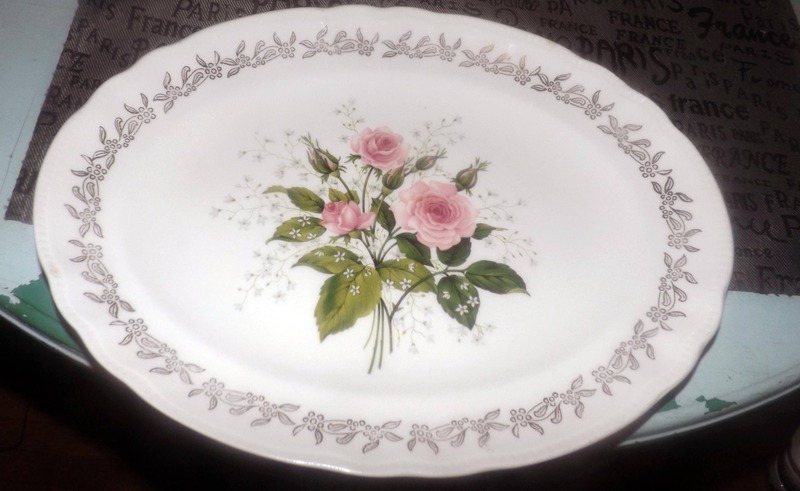 Mid-century (mid 1950s) Sovereign Potters Jubilee Rose 1212-54 pattern oval vegetable or meat platter featuring central pink roses and greenery with a gold filigree border about a scalloped edge. In EXCELLENT! condition with NO! chips, nicks, cracks or fleabites, LITTLE TO NO! 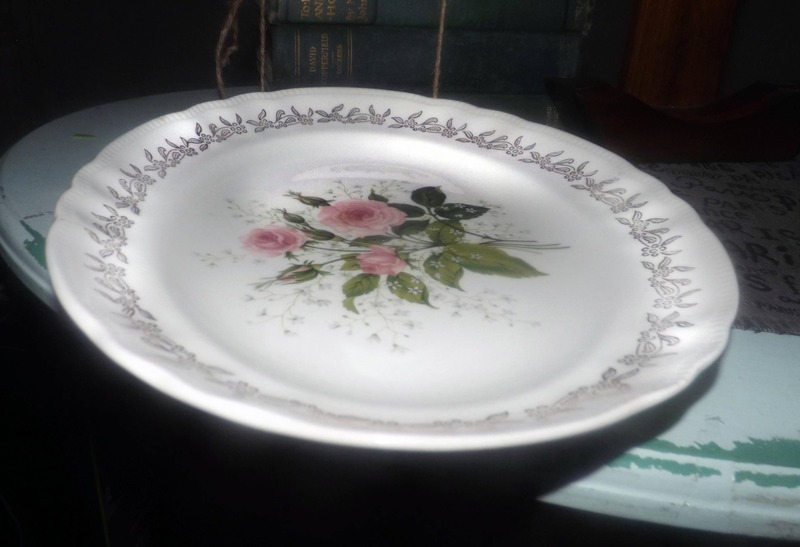 loss to the gold filigree border and NO! marks, stains, or scratches. 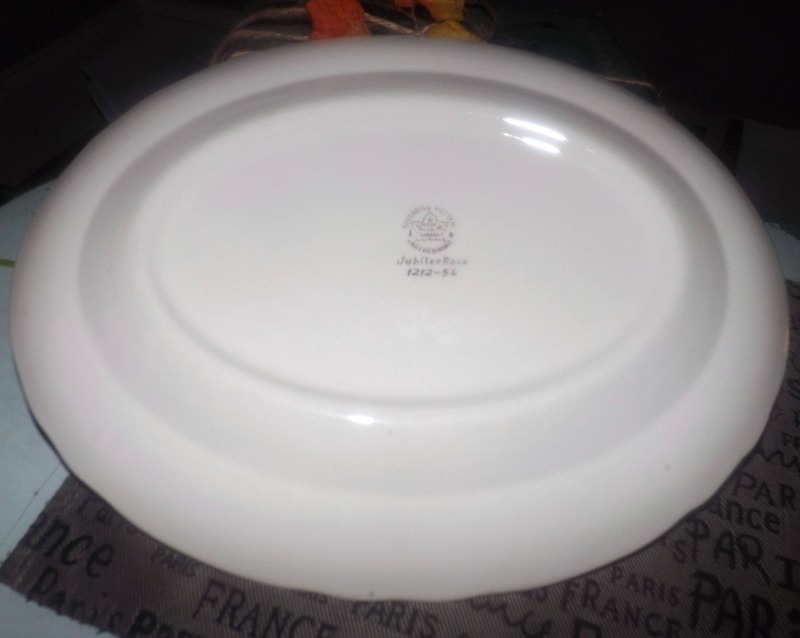 There is some age-appropriate crazing to the surface of the platter (please review each of the posted photos for a complete visual of the item). 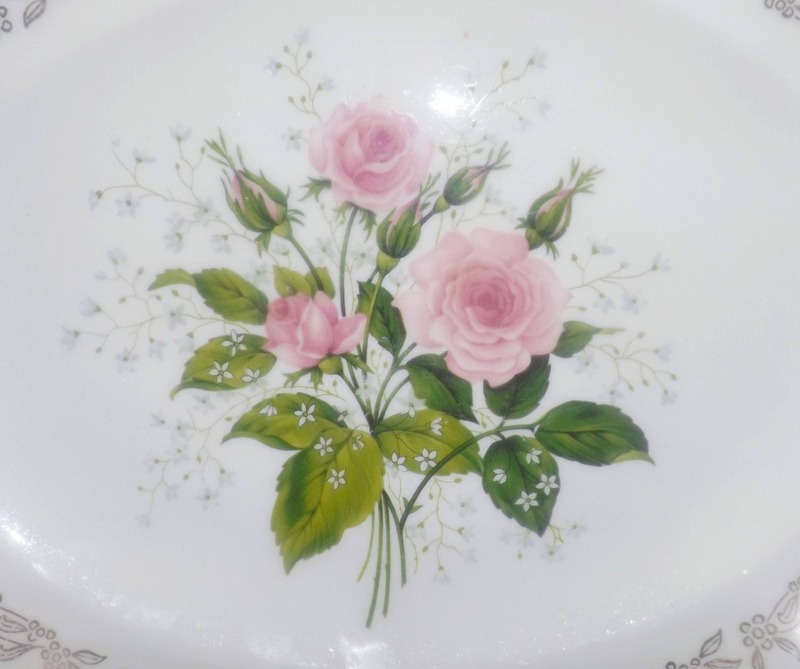 The pink roses and greenery and gold filigree band are bright and vivid with NO! fading or wear apparent.